Research by undergraduate students has led to presentation opportunities and new career paths. The SC CTSI, like its sister hubs throughout the NIH's national Clinical and Translational Science Award program, is known for its many resources for early-career and senior clinical and translational researchers. Less frequently noted is SC CTSI's support of diverse undergraduate students training for careers in clinical and translational research. Photo: Right, Amelia Spinrad, Regulatory Knowledge Support Specialist at SC CTSI, and undergraduate Annie Ly, a USC Provost’s First Generation Undergraduate Research Fellow. Five current and former undergraduates working in the SC CTSI's Regulatory Knowledge and Support (RKS) core group are getting an early boost along their career paths. 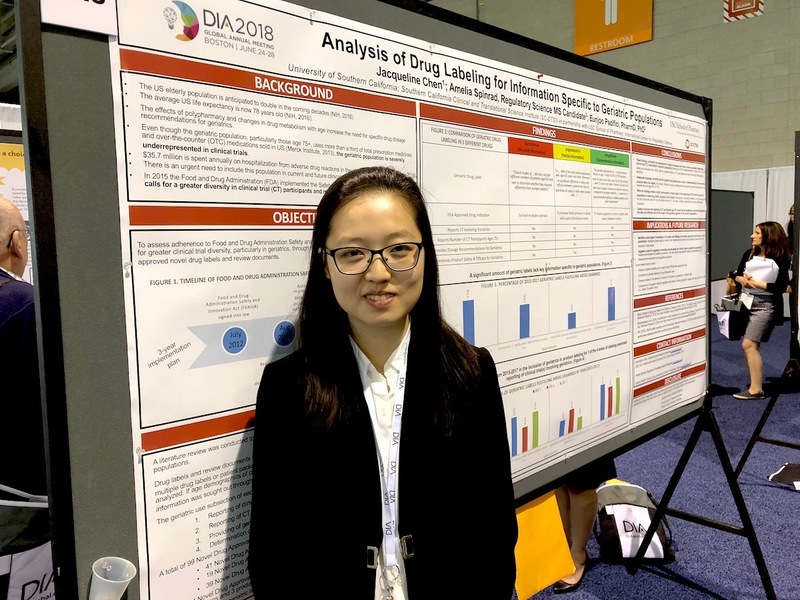 Among recent accomplishments, some of the RKS undergrads were selected for the Student Poster Travel Awards by the Drug Information Association (DIA) for oral and poster presentations at the organization's recent national conference in Boston, MA. The majority of students awarded the poster presentation slots were at the graduate level. "The achievements of these students reflects the SC CTSI's efforts at all educational and career levels to accelerate and improve clinical research, and to correct health disparities between the diverse communities within our country," said Thomas Buchanan, MD, SC CTSI Director/Principal Investigator. "Those efforts include advancing the careers of top student health scientists and research professionals who are themselves from diverse backgrounds, and who can bring those unique backgrounds and insight to their fields." The RKS students have conducted research and work in several areas, said Eunjoo Pacifici, PharmD, PhD, Director of the Regulatory Knowledge and Support core group in SC CTSI. They include: identifying and addressing gaps in training, studying manufacturing standards instrumental to the translation of basic research into product development, and examining diversity in clinical trials to understand how products should be used in different populations. Annie Xie is a rising junior and aspiring PharmD student, majoring in pharmacology and drug development. 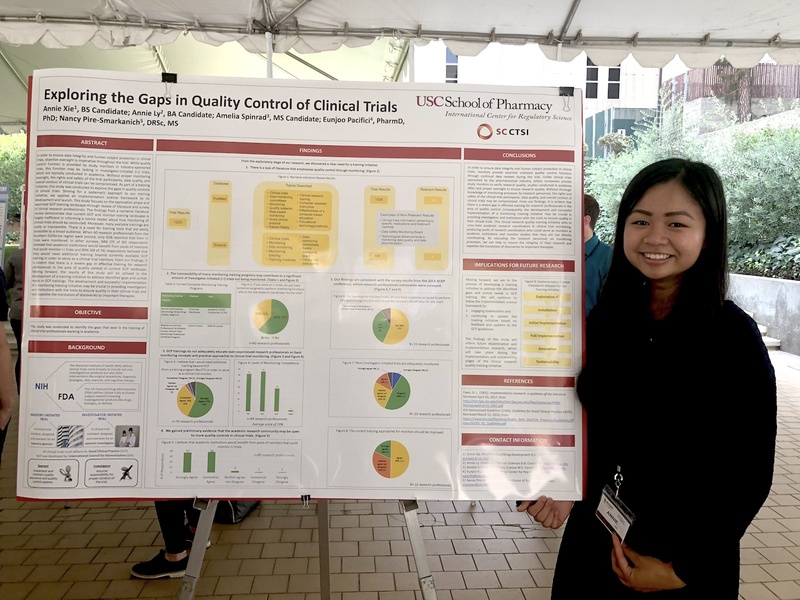 She has conducted research with RKS for almost 4 semesters as an undergraduate research associate and was awarded a USC School of Pharmacy’s Summer Undergraduate Research Fellowship (SURF). Her research project for DIA was titled, Exploring and Addressing Gaps in GCP Training: Practical Approaches to Monitoring. Xie was the first undergraduate research associate at the International Center for Regulatory Science and often guides newer researchers. Hannah (Nahae) Kim is a rising senior and aspiring PharmD student, majoring in pharmacology and drug development. She has conducted research with RKS for almost 3 semesters, all as a USC Provost Fellow. Her DIA research project was titled, Analysis of FDA Warning Letters (2013-2017) of Active Pharmaceutical Ingredients (APIs made in China and India). As a Provost Fellow, Kim has developed exceptional leadership skills, such as taking the initiative to include international graduate students to help translate documents in Chinese and Indian languages. She is currently developing a manuscript that she hopes to get published before graduation. Jackie Chen is a rising senior and aspiring medical student, majoring in health and human science and pursuing a progressive Master’s in gerontology. She has conducted research with RKS for almost 3 semesters, this summer as a USC Provost Fellow. Her DIA research project was titled, Analysis of Drug Labeling for Information Specific to Geriatric Populations. Through the Provost Fellowship, Chen has shown diligence and passion for research, and has become an effective presenter of her research findings. 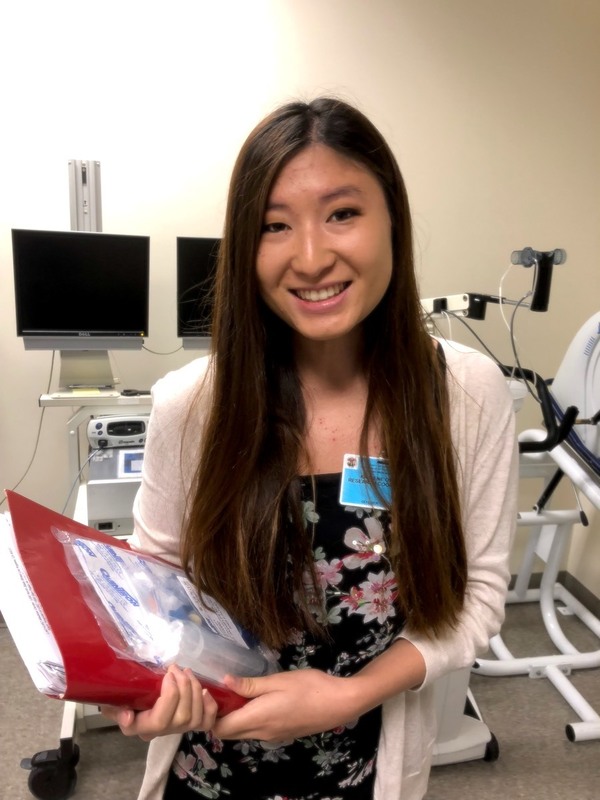 Chen hopes to continue research in geriatrics for her honors thesis; she recently presented her research at the Healthy Aging Summit in Washington, D.C., where she developed an additional interest in preventive medicine. Annie Ly is a rising sophomore and aspiring physician assistant or physician, majoring in Health and Human Science and minoring in English. Ly has conducted research with RKS for almost 2 semesters as a USC Undergraduate Research Associate and this past summer as a USC Provost's First Generation Undergraduate Research Fellow. Through her work at SC CTSI, Ly has developed a career interest in clinical research. She presented her research, titled, Improving the Quality of Clinical Trials in Academic Research Facilities: Developing Training Modules Utilizing an Implementation Science Framework, at the 2018 SoCal Regional Dissemination Implementation and Improvement Science Symposium. Kaylene Okada graduated with a B.S. in Biological Sciences from USC in Spring 2018. Prior to graduation, she conducted research with RKS on an SC CTSI study of gaps in training among clinical research professionals. She is now a research coordinator at USC and a graduate certificate student in Clinical Research and Management with the Department of Regulatory and Quality Sciences at USC. Through her understanding of the complexities of quality controls in investigator-initiated trials, Okada helps ensure the quality of the trials she coordinates to ensure human subjects are protected and data are accurate and valid. Click here to learn more about this initiative between USC and UCLA with LA County Health System.